The EcoStar 40U566 is one of the newest 40-inch LED TVs from EcoStar. The LED TV comes equipped with a Full-HD resolution, HDR, USB connectivity, and the EcoStar Sound Max Engine. The picture quality is quite good, largely because of the RealColor Engine on the EcoStar 40U566 that improves color reproduction and contrast of the output. Even though it is not a smart TV, the range of features coupled with the stirring Full-HD 40-inch display make the EcoStar 40U566 a good choice to consider for people who are on a budget. 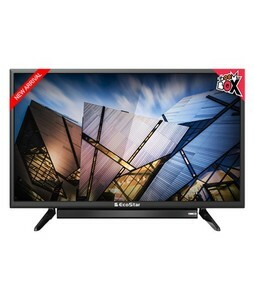 The Lowest price of EcoStar 40 Inch 40U566 LED TV in Pakistan is Rs. 33,749, and estimated average price is Rs. 33,749. The prices are collected from the best online stores in Pakistan like iShopping.pk - updated Apr 2019.